Antwan “Amadeus” Thompson began his musical journey as a child with a passion for drumming, laying down the beat in school and at church. Amadeus has translated that passion for the beat into a career as a producer, laying down tracks with an impressive and expanding catalog of notable artists. We were flattered to hear that Amadeus has an unbroken MPC-streak, utilizing the iconic Akai Pro technology on every studio project he’s worked on, and now includes the LPK25, LPD8 and APC40 in his production arsenal. Akai Pro: Where did the name “Amadeus” come from? Amadeus: I got the name Amadeus from the late great composer, Wolfgang Amadeus Mozart. I was introduced to him at an early age in school. While watching the film Amadeus, I realized that we had a lot in common, so the name was a perfect fit for me. AP: You started playing drums as a kid in school and in church. How did each of those environments influence your development as a musician and producer? AT: In school, I learned all of the fundamentals & theory of music; how to read, play music, etc., but it was in church where I developed my craft as a musician by always being around other musicians from around the world who visited our church, taking bits and pieces from their playing and making it into my own style and sound. In church your free to try and explore sounds, styles and different forms of playing, so I feel like it was my playing in church that help me to perfect my craft in my own way. AP: Who inspired you when you were learning to play? AT: Many different drummers, such as Steve "Supe" White, Dave Weckl, Gerald Haywood, Steve Gadd, Jeff Davis, and Chris "Daddy" Dave, to name a few. AP: Have you always been more of a pocket drummer, locking into the groove of a song, or has that developed over time? AT: (Laughs) No, when I started playing drums I was reckless, always trying to put a drum fill in every spot available, and as time went on, I realized that it’s not about how many tricks you can do; it’s about how you can hold down the groove. Once I came to realize that, I was able to get plenty of gigs. I was taught growing up that there was a time and a place for everything, and that same principle goes for musicians as well. AP: Why do you think you've become so successful? AT: My drive, determination, work ethics, and being able to create and maintain relationships; being and remaining humble; always wanting to grow and re-create myself and my sound; studying to learn as much as I can about the music business, and always working towards perfecting my craft. Most important, I feel what I’m doing, and where I’m at in my career, was always destined. AP: When did you start using MPCs? AT: I started using the MPC about 12 years ago. AP: What is your favorite MPC feature? AT: I love so many features it hard to choose, but if I had to choose one I would say the sampling aspect of the machine. AP: What are some recent tracks people can hear your MPC work on? AT: Every record I’ve produced in my career has been created on the MPC 2000 XL, and I've produced for over 50 artists, such as 50Cent, Lil Wayne, T.I, Keyshia Cole, Fabolous, Diddy, Danity Kane, Busta Rhymes, Jim Jones, Juelz Santana, Cee-Lo Green, Mya, Talib Kweli, Joe Thomas, Donnie Klang, The Clipse, Trey Songz, Young Jeezy, ESPN, VH1, MTV & many more. AP: What are your other Akai Pro favorites, and what makes them your choice as a production and music creation tools? AT: Besides the MPC2000XL, my other favorites are the following: LPD8 Laptop Pad Controller and LPK25 Laptop Performance Keyboard. The fact that they’re portable and I’m able to travel with them and use with my laptop is absolutely AMAZING!!! AP: You’ve produced records for a lot of artists. How much does process and workflow differ from artist to artist? AT: Each individual artist have there own style and sound, so it’s very different. As a producer you have to be mindful of that, some artists like to work in the studio with the producer and create from scratch, some artists like to work and create on their own with out the producer being present, so it depends; you have to be able to adapt to any environment and make it happen as a record producer or musician. AP: What attitudes or approaches towards production do top artists have in common? AT: I would have to say doing the best job possible, and hoping the song that has been created becomes a hit record all over the world. AP: What does being Trey Songz’ musical director entail, and how has it stretched and challenged you? AT: As Trey Songz music director, it’s my job to see his vision through musically in anyway possible. It’s my job to select the band members, teach them the music, share creative ideas to come up with the best show possible, create and negotiate band budgets, select instruments that will create the exact sounds that the records have, create set lists with and for the artist and much more. It’s challenging at times because, in many situations, time is limited, so it can create pressure, wanting to be able to deliver and have the artist be happy with your work. What’s also challenging is being away from my family, that I love dearly, for long periods of time, but it comes with the job and I have their full support, which helps ALOT. 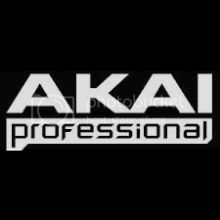 AP: What Akai Pro gear with you on tour? AT: I have the LPK25 Laptop Midi Keyboard Controller and the LPD8 Laptop Pad Controller for production, and for Trey's show we use the APC40 Ableton Performance Controller to run the show. AP: What artists would you would like to produce for in the future? AT: I would love to have the opportunity to produce records for artists such as Jay-Z, Usher, Beyoncé, Black Eyed Peas, Rick Ross, Christina Aguilera, Drake, Chris Brown, Mary J. Blige, Nicki Minaj, Madonna and Kanye West, to name a few. AP: What are some bands or artists people would be surprised to find out you enjoy? AT: Kings of Leon, Evanescence, Black Eyed Peas, Mutemath, David Guetta, and DJ Tiesto, to name a few. AP: What do you do outside of producing and playing drums? AT: Enjoy valuable time with my family, play videos games, watch movies, and enjoy life because I work hard!!! AP: What's on tap for you in 2011? AT: Finishing up my artist, Tiffany Mynon’s, Angel of R&B album! She's a breath of fresh air for the world…can’t wait till it’s done. Of course, producing for your favorite artists out today, and touring the world with Trey Songz as his Music Director & Drummer. Stay tuned to PLATINUM BOY MUSIC INC. we got next. www.platinumboymusic.com. AP: What do you recommend up and coming producers do to become successful? AT: First thing I would say is to make sure this is something that is a love and passion for you because what it takes for you to make it in this business requires a lot of blood sweat and tears, and you must be built for it. Second, be you!!!! Don't try to create music based off of what you hear on the radio; it’s ok to admire other producers work, but don't get caught up in trying to make your music sound like theirs. That wouldn't be you being true to yourself. Perfect your craft; there’s always something to learn from equipment, to who works at the labels, to who manages a specific artist. Create and maintain as many relationships as possible its very important. Once you become successful remain hungry & humble it will allow for you to continue to be successful. Good luck to ALL pursuing production as a career; all things are possible, just gotta work hard & hopefully I'll see you at the top.